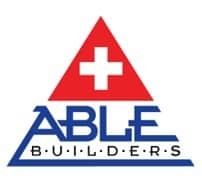 Count on the Emergency Water Extraction Tarpon Springs FL team at Able Builders, Inc to help with any size Water Extraction cleanup job you may need. In Tarpon Springs , a large number of homeowners and property owners have experienced Water Damage of some kind. Most of these property damages are due in part by some sort of plumbing failure. When Water Extraction Tarpon Springs FL services are needed, it is highly important that you call Able Builders and Able Restoration in Tarpon Springs at the first sign of water intrusion. The smallest amount of water can lead to a large disaster in your home or office. Throughout our 25 plus years of Water Extraction and Damage Restoration Tarpon Springs experience, we’ve realized homeowners have the urge to use a shop vacuum or call a company that only has the ability to dry carpet or flooring. Water is extremely versatile and can soak into walls, baseboards, molding, and more. Due to the speed of water damage, the possibility of Mold Damage exists and increases your chances of further damage. Furthermore, if the humidity inside your home or office is not properly controlled, even items that were not originally damaged from the water could become damaged as a result of absorbing the moisture from the air. Keep in mind that homes that are not dried out immediately and properly are in greater danger of mold growth. At Able Restoration in Tarpon Springs, our state-of-the-art drying machines will remove all excess water from your home or business after the water intrusion has occurred. Before we end any Restoration project we ensure the area is completely dry and thoroughly cleaned. Let our Extraction professionals ensure that all the water is removed to avoid potential Mold Damage. Turn the main water valve OFF. This will help stop further water intrusion or damage. Walk on the damaged area any more than needed. This will help keep the damage from worsening and possibly spreading to other areas of the home. 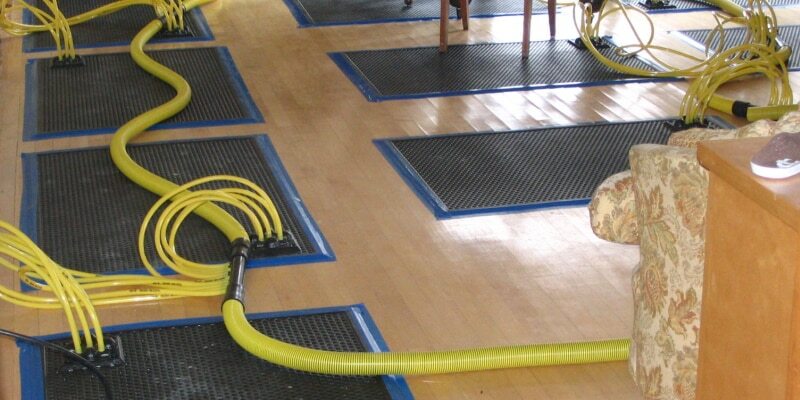 At every Water Extraction Tarpon Springs FL cleanup job Able Restoration goes to, we use our state-of-the-art drying equipment. By using proper structural drying methods our services are more affordable and less time consuming than other techniques used by other Water Damage Restoration firms in Tarpon Springs. Once we are able to remove the excess water completely from all surfaces, the structural drying begins. By utilizing a properly planned home dry-out and dehumidification process, it then provides you, the homeowner, a cost reduction and decreased dry out time. This also helps reduce the potential growth of Mold and Mold Damage. The next step after the extraction process is to set up a system of high velocity air movers that efficiently dry your home or office while removing the excess moisture. During this process these efficient air movers and desiccant dehumidifiers are placed throughout the site to remove the moisture in the air. This process of dehumidification is extremely vital to a successful Water Extraction Cleanup Tarpon Springs job.